When the famous South African fish scientist Professor JLB Smith published Old Fourlegs - The Story of the Coelacanth in 1956 he created an international sensation. After all, this 400-million-year-old fish, known only from fossil remains, was thought to have become extinct around 66 million years ago! JLB Smith’s dramatic account of the discovery of the first and second coelacanths in 1938 and 1952 turned him into a cult figure and put South African science on the world map. His book was eventually published in six English editions and translated into nine foreign languages. 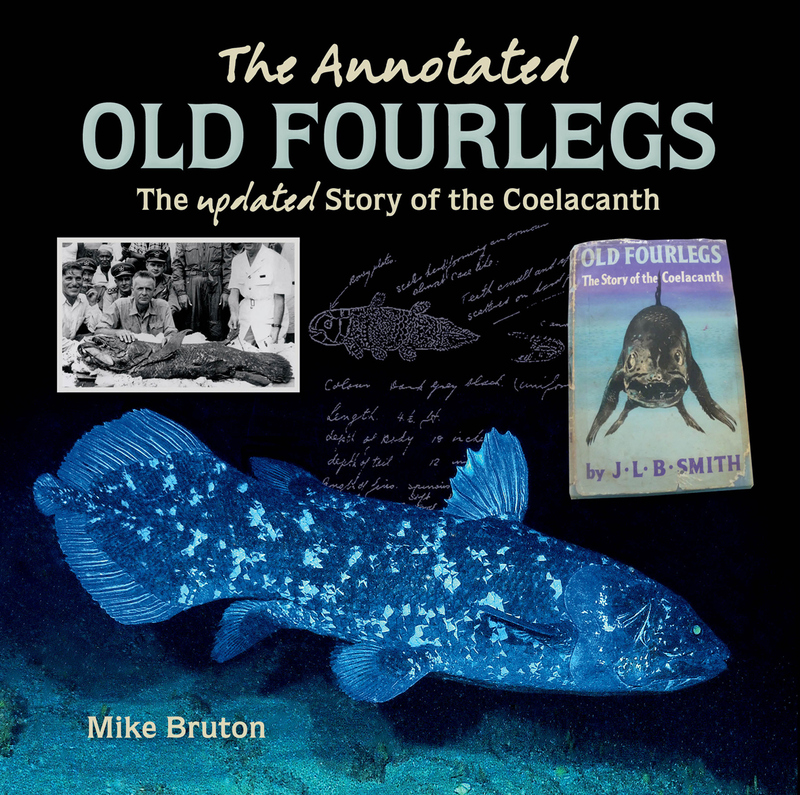 Mike Bruton’s The Annotated Old Fourlegs includes a facsimile reprint of the original book, to which he has added notes and images in the margins that provide an interesting and revealing commentary on Smith’s text, as well as new introductory and explanatory chapters that bring the coelacanth story up to date. Mike Bruton was born and educated in East London, where the first coelacanth was caught. He studied under JLB and Margaret Smith at Rhodes University, and subsequently took over from Margaret Smith as Director of the JLB Smith Institute of Ichthyology, launching a series of expeditions to study the coelacanth. He has been involved in coelacanth conservation and has given talks around the world on ‘old fourlegs’.